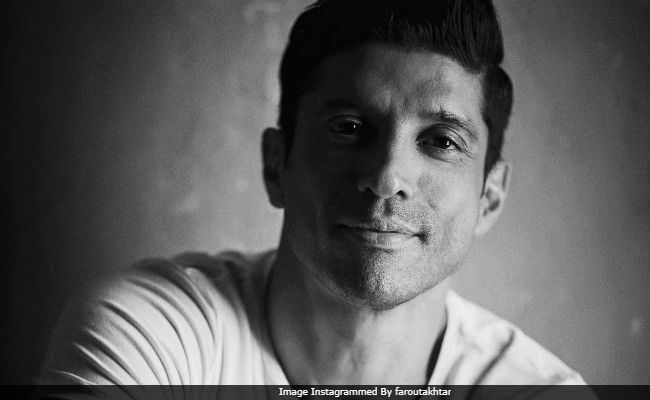 "Not fair to raise expectations of the films fan base via false news"
Will Farhan Akhtar star as a cop in Don 3, headlined by Shah Rukh Khan? No, appears to be the answer. Farhan, who has directed the previous two Don films, requested not to 'conjure up news' without clarifying facts. "Request those who conjure up news about Don 3 without any fact checking to please refrain. It is not fair to raise expectations of the films fanbase via false news," tweeted Farhan. On Tuesday morning, a DNA report had stated that Farhan will also be a part of the film and will play a cop. "Farhan will also act in this film. He will play a desi top cop to Shah Rukh's Don. Since a portion of the film will be set in India, Farhan will be seen donning the policeman's uniform in the film," stated the report. The status Don 3 appears to be the same as it was some time ago, but several news reports regarding a possible cast have made the rounds several times. Some months ago, various unconfirmed reports suggested that Deepika Padukone would replace Priyanka Chopra in the Don 3. Later, producer Ritesh Sidhwani clarified that 'Deepika is not part of Don 3.' The previous two Don films, which released in 2006 and 2011 respectively, cast Priyanka as the feisty cop Roma. Earlier this month, trade analyst Ramesh Bala tweeted that a new heroine will be join the film's cast and that Don 3 will be extensively shot in Dubai and Abu Dhabi. The Don films are the remakes of Amitabh Bachchan's 1978 hit.